Microsoft Exchange Server is a primary data store and mean of communication for many organizations. To ensure security and pass compliance audits, you need to continuously monitor changes and report on all activity in the Exchange Server environment. 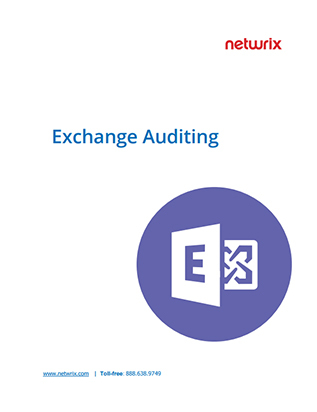 This white paper explains why it’s critical to audit Exchange Server and details the must-have features to look for in an Exchange auditing solution.